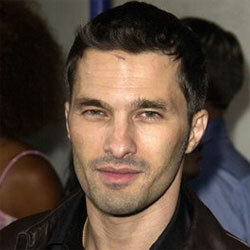 Olivier Martinez (born 12 January 1966 in Paris, France), is a French actor. He starred in the movies Before Night Falls, Unfaithful, and Blood and Chocolate. In 2013 he married actress Halle Berry. Martinez is a model for Yves Saint Laurent fragrances since 2005.